Although both types of licensing are available for Adobe customers, it’s important that you understand both of them before choosing one for your enterprise. In this article, we have tried to explain the differences between CCE and CCT in order to help you make the right choice! CCE has a Single Sign-on option which makes it easier for the admin to manage license deployment. On the other hand, CCT requires every user to have a username that they can use to download Adobe software. CCE offers a shared Cloud space which can be accessed by all the users. CCT, however, assigns every user his/her own Cloud space. Once that space is fully utilized, the user either has to delete the old files or transfer them to a storage device in order to make more space. CCE can be bought via resellers and is available under 2 different licensing programs: VIP and ETLA (Enterprise Term Licensing Agreement). If the customer chooses to buy CCE under VIP, the price is fixed for upto 1 or 3 years in US Dollars and has to be paid as and when the number of licenses are increased. The license count under VIP can only be reduced at the end of the anniversary date, which will fall after 1 year or 3 years, depending on the accepted terms at the time of order placement. If the customer chooses to buy CCE under ETLA, the price is fixed in US Dollars for 3 years and the payment has to be made once a year on pro-rata basis. Just like under VIP, the license count under ETLA can only be reduced at the end of anniversary date, which will fall after 1 year or 3 years, depending on the accepted terms at the time of order placement. CCT can be bought via Resellers or directly from Adobe website, and is available only under the VIP licensing program. If the customer chooses to buy CCT from the Adobe website, the only mode of payment is via Credit card and the customer can choose to pay either monthly or annually. The billing will be done from Digital River, Ireland in US Dollars equivalent to the local currency where you will be using the product. So here’s everything you need to know about both the licensing models Adobe offers. Hope it helps you to choose the one that suits your requirement. If you have any more questions, send us an e-mail at <ashish@aisplglobal.com>. Nitro PDF Vs. Adobe Acrobat Std – Which is Best? If you’re looking for a good PDF reader and editor, you may have considered a variety of options to download. The most common are perhaps Adobe Acrobat Standard Edition, however, some of the alternatives are just as good – even better! For now, we’ve compared some of the top two – Adobe Acrobat Std and Nitro PDF. It’s time to weigh up the pros and cons! 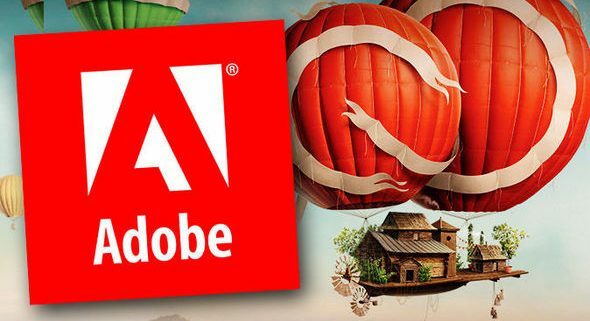 Adobe is part of the Adobe set of products, which are universally known as the ‘industry standard’ – an appealing trait to many prospective buyers. Due to its popularity, many people feel that Adobe has stronger compatibility. If you have a subscription to Adobe Creative Cloud, you’ll already have Acrobat, so you’ll be saving money by choosing this one. Adobe Acrobat is available on a subscription basis, meaning you’ll always have the latest version. The program will automatically update itself with the latest updates, patches, features and more. Nitro PDF is considered by many to be the better product of the two, and it actually has more features than Adobe! It has a more user-friendly toolbar and easy file managing system, as well as a Smart Alignment tool to make working with PDFs easier. Aside from that, it can do everything Adobe Acrobat Std can do! Once you own Nitro PDF, you own it for life, making it the more affordable choice in the long run and better value for money. Obviously, these are both great programs, but all businesses will have different needs. Why not take a further look at each one and learn more? Considering you get even more for your money with Nitro, many business users tend to see it as the better option, ensuring they have everything they need at a reasonable price point. On the other hand, some are happy with the subscription based appeal of Adobe Acrobat and like that they’re using the industry standard. Essentially, it’s preference – and what you do on a day to day basis will determine which is the right product for you. If you’ve decided that Nitro PDF could be the right PDF reader and editor for you, you’ll be pleased to know that it’s available right here at AisplStore. We are currently offering Nitro Pro 11 for just R 8,900 so check it out today. If you have any questions about which PDF program could be the best one for your needs, get in touch with AisplStore today to learn more! keeps all the files in sync. Any additions, modifications, or deletions are reflected on all connected computers and devices !! Your Adobe Creative Cloud account comes with online storage so that your files are available to you anywhere and on any device or computer. You can preview many creative file types directly in a web browser on your computer, tablet, or smartphone. These file types include: PSD, AI, INDD, JPG, PDF, GIF, PNG, Photoshop Touch, Ideas, and others. The Adobe Creative Cloud desktop application keeps all the files in sync. Any additions, modifications, or deletions are reflected on all connected computers and devices. For example, if you upload an .ai file using the Creative Cloud Assets page, it is automatically downloaded on all connected computers. While you can perform several operations such as rename, share, download, replace, and archive on desktop assets (under Files), you can only view assets under Mobile Creations and Libraries, on the Creative Cloud Assets page. When you click an asset category, it expands to show subcategories, if any. For example, assets under Files are further organized as All, Shared, and Archived. Similarly, you can browse assets created using Creative Cloud mobile apps under Mobile Creations, where the assets are further categorized based on the creating mobile app. For information about libraries, see Creative Cloud Libraries. Copy, paste, or move files to the Creative Cloud Files directory on your desktop. To open the Creative Cloud Files directory from the Creative Cloud desktop app, select Assets > Files and click Open Folder. Additionally, you can upload files directly to the Creative Cloud Assets page using any of the following methods. Upload and manage your files on Creative Cloud using the Actions menu on the Creative Cloud Assets page. Drag and drop assets from your desktop to the Creative Cloud Assets page. Uploading the file again creates a version of the file and replaces the existing file with a new one. Creative Cloud also keeps a copy of every change you make to a file and sync through Photoshop Touch, Adobe Ideas, and the Creative Cloud desktop app. Navigate to and open the file for viewing. Select Actions > Replace or drag the file from the folder to the browser window. Note: The new file must be the same file type as the file being replaced. For example, you can’t replace a .PSD file with a .AI file. You can delete files from the Creative Cloud website or Adobe Touch Apps. You can also use the OS commands to delete files from the Creative Cloud Files directory on your desktop. All file deletions are synced with your account, and files are archived in Creative Cloud. The original files are always on your computer with a copy available on Creative Cloud so that you can access it anywhere. Archived files continue to occupy online storage. You can permanently delete or restore files from the Archive folder. Permanently deleting the files frees up the storage quota. Archive a file from your Creative Cloud Files directory on your desktop, Creative Cloud–enabled Touch Apps, or the Creative Cloud Assets page. Archived files move to the Archived category under My Assets > Files. On the Archived page, select the files to delete permanently and click Permanently Delete. In the confirmation dialog, click Permanently Delete. On the Archived page, select the files to restore and click Restore. In the confirmation dialog, click Restore. You can view your storage status from the Files tab under Assets panel of the Creative Cloud for desktop app or on the Settings page of the Creative Cloud Activity page. Creative Cloud syncs up to 1 GB of overflow from any device. After that, the Creative Cloud desktop app stops syncing new files and notifies you that you are over quota. A red exclamation point marks any files that are unable to upload. You can still move, rename, or delete files. To continue to sync files, permanently delete other files to free up space. A small portion of storage is used for administrative purposes. Therefore, the actual storage space is slightly less than allocated. It varies from 100 KB to 500 KB based on the number of user files. Adobe Muse could be a one stop for developing a good website. Someone who is a designer but doesn’t really know much about coding and wants to create a website, this is the major tool for that person. Adobe Muse is by far one of the most useful softwares you’ll come across in this generation of website. When combined with the full use of other softwares such as Adobe Illustrator, Photoshop and Indesign, this software can help you create a seamless website all by yourself. Here are some new features which can explain you why this is one of the best software in today’s design world. Creative Cloud Libraries, powered by Adobe CreativeSync technology, enable you to access your favorite assets from home, office, or even when you’re on-the-go. Create images, colors and more using Photoshop, Illustrator, or mobile apps like Adobe Capture CC. Access these assets across other desktop and mobile apps for a seamless creative workflow. 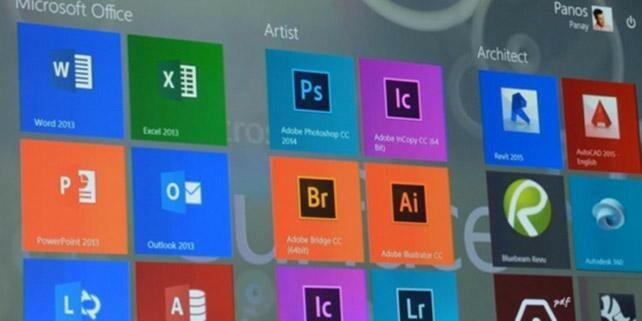 Adobe and Microsoft have worked closely together to test Adobe Creative Cloud applications for reliability, performance, and user experience when installed on Intel-based systems running Windows 10. Q. Are Creative Cloud applications supported on Windows 10 ? Ans. The latest versions of all Creative Cloud applications are compatible with Windows 10. Q.Do any of the Adobe Creative Cloud applications require updates to be compatible with Windows 10 ? Ans. No. In our testing, we have found no significant issues with running Creative Cloud products with Windows 10. Q. Is Adobe aware of any issues, bugs, or odd user experiences when using Creative Cloud applications or Adobe Acrobat products with Windows 10 ? Ans. Windows 10 includes a new web browser called Microsoft Edge, in addition to Internet Explorer 11. Currently, the Microsoft Edge browser does not support the Acrobat PDF plug-in. Internet Explorer 11, along with other major Windows browsers, continues to support the Acrobat PDF plug-in. Q. I use some plug-ins with my current version of Creative Cloud applications. Are these plug-ins compatible with Windows 10 ? Ans. Customers are encouraged to check plug-in compatibility by contacting the plug-in vendor before upgrading to Windows 10. For third-party products, contact the manufacturer for guidance. Q. Does Adobe offer technical support for its products running on Windows 10 ? Q. Are trial versions of individual products compatible with Windows 10 ? Ans. Yes. If a full version of a product is compatible with Windows 10, then the trial version of that product is compatible as well. Any known issues described in this document also apply to the trial versions. Who is eligible to participate in VIP? The VIP program is available for business/commercial, education, and government organizations worldwide, except for countries where laws or other restrictions prevent Adobe from offering the program. Contact our sales team -sales@aisplglobal.com to check your eligibility for ETLA. What are the advantages of ETLA? Enter into a single, term-based contract with one annual payment, allowing you to predictably manage your budget. Simply deploy software tools and updates when and how you choose — to individuals or to specific groups within your organization. Give teams ongoing access to the full breadth of Adobe products, including the world’s best creative apps, Adobe Acrobat, Adobe Anywhere, and Digital Publishing Suite. A customized contract for larger deployments.